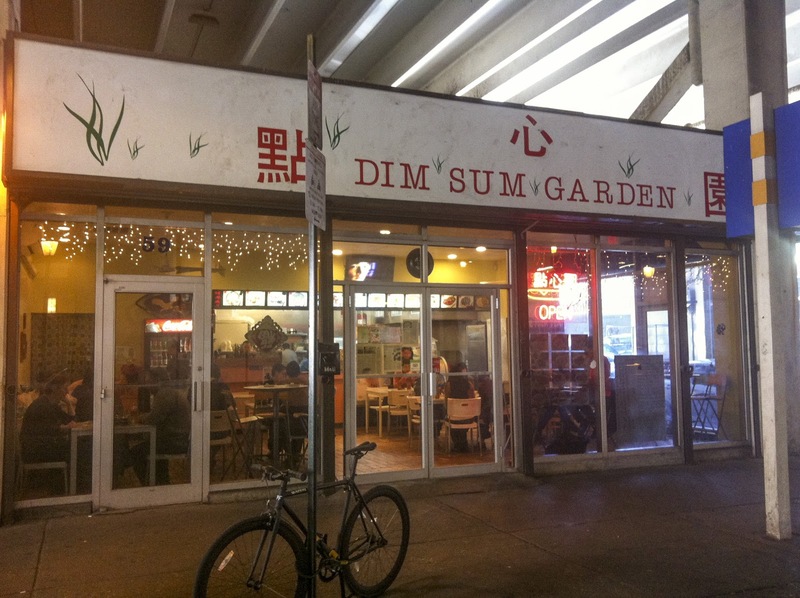 It seems like I never actually plan on going to Dim Sum Garden. It's not that the food isn't desirable, it's quite the contrary, but the location is so sheltered in its tunnel under RTM's overpass, I usually forget that it even exists. I'll be passing through Chinatown and in a quick fit of hunger (sometimes non-hunger, just for fun) I stop here to quench my thirst for their succulent soup buns. To my surprise, they've kind of cleaned up their act since my last visit. 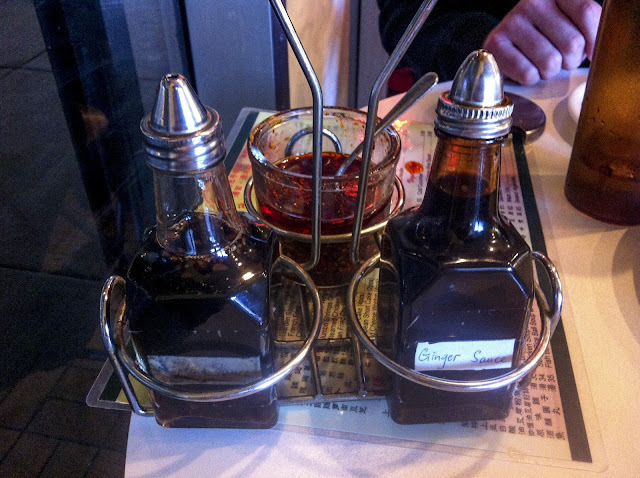 They've spruced up their decor with some new furniture and even replaced the dated sauce containers. I started with the very refreshing cold cucumber plate. 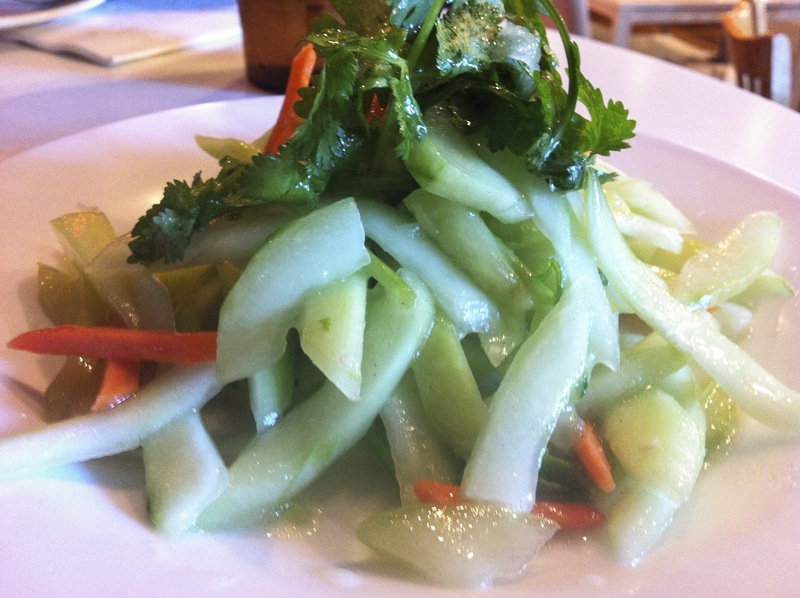 It was clean and crisp with thin-sliced chunks of cucumber tossed in a light vinegar sauce. 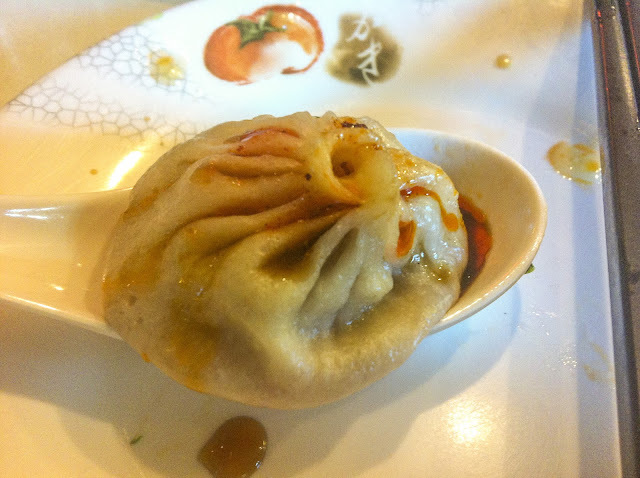 I added some of the provided ginger sauce and hot pepper oil to taste and created my own level of spice. Delicious. 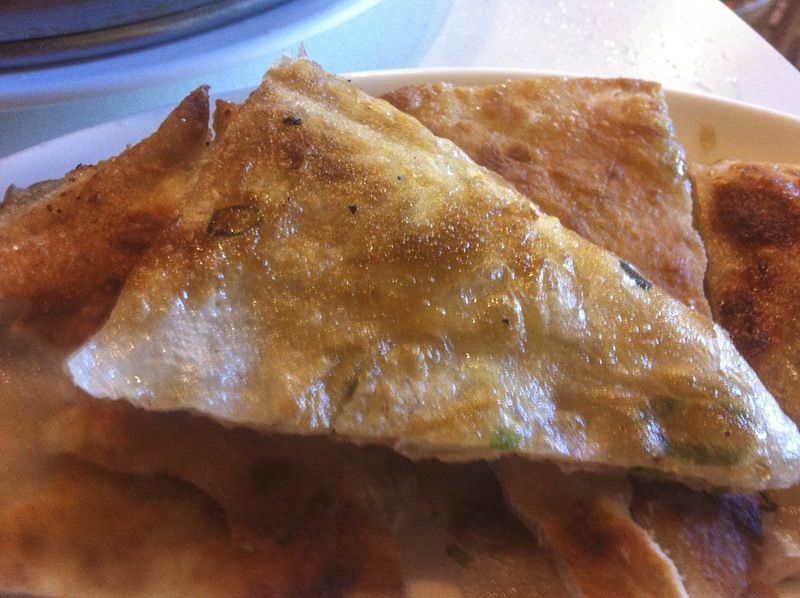 Next was the scallion pancake. 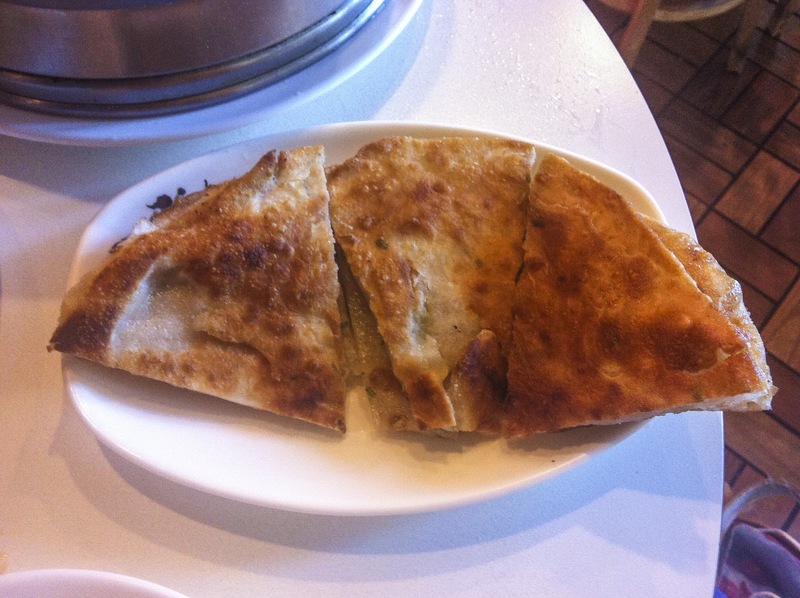 Just your standard pan fried version, but at $2.50, ordering one is pretty much a no brainer. 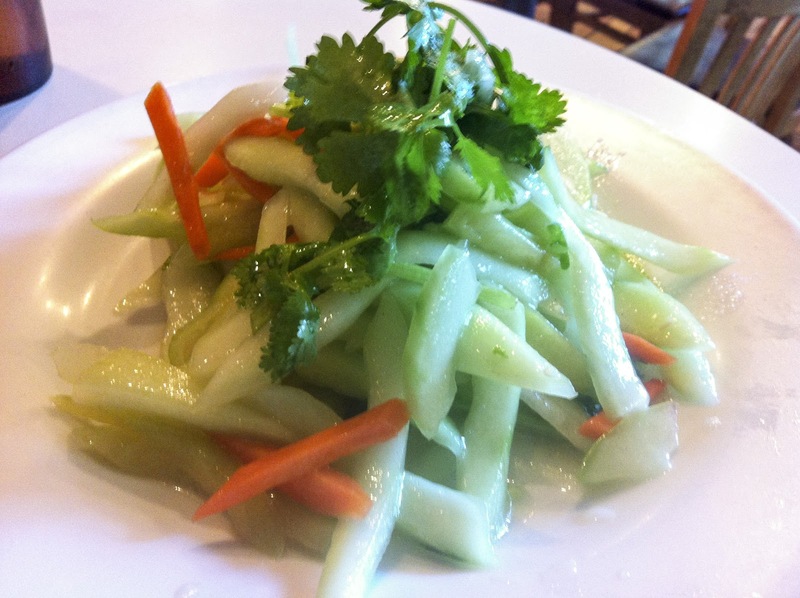 Here again, I use my own combination of ginger soy sauce, vinegar and hot pepper oil to garnish. 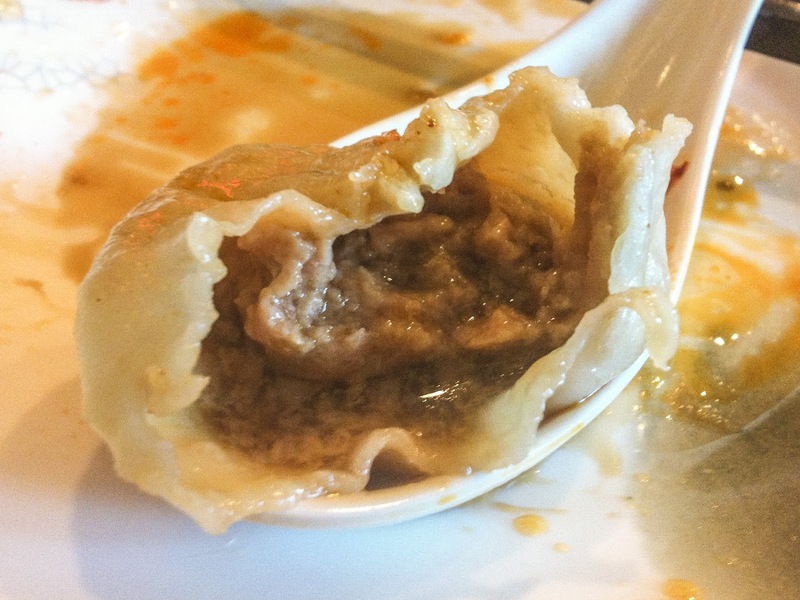 It was a little oily, but isn't that how they're supposed to be? 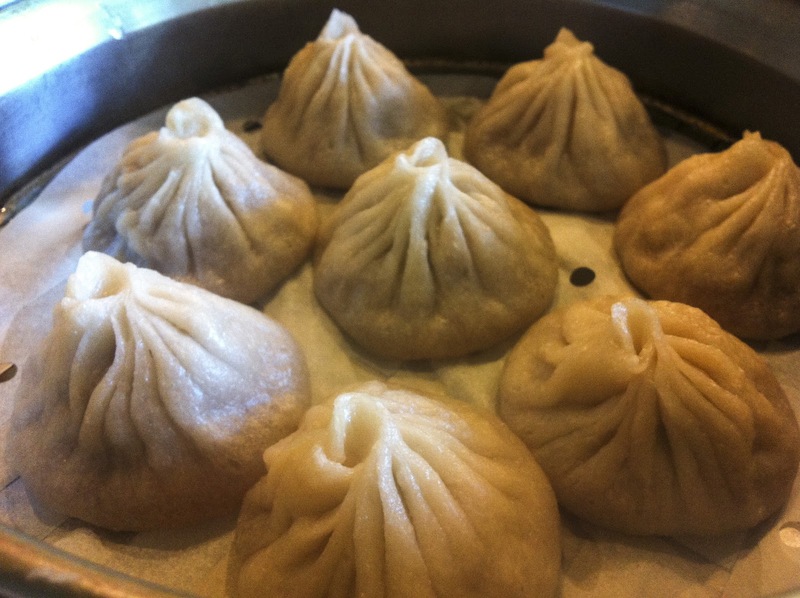 Shanghai steamed pork juicy buns (8), $5.25. I could eat 16 of these little beauties, no question about it. Use your chopsticks to get one onto your spoon, drizzle a few drops of vinegar, a bit of ginger soy sauce and a pinch of hot pepper oil on there. Bite a piece off the top, get that baby opened. Add another drizzle of each into the hot, porky soup and take another bite. 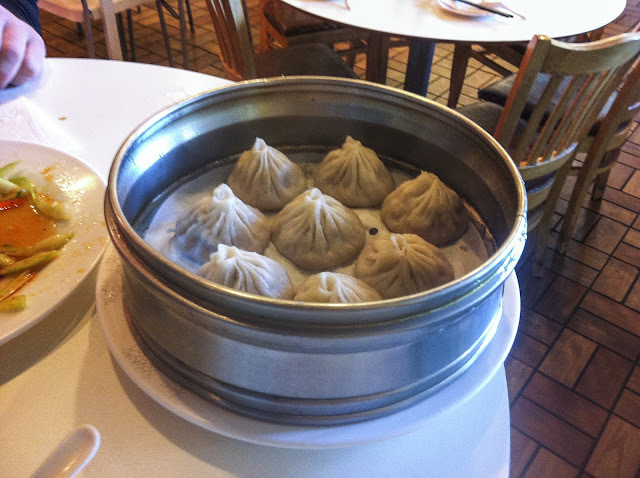 Get ready to slurp in some of that broth as you bite through the steamy dough into the tender pork ball. Two bites each and you're in heaven. What a flavorful mid-afternoon snack!